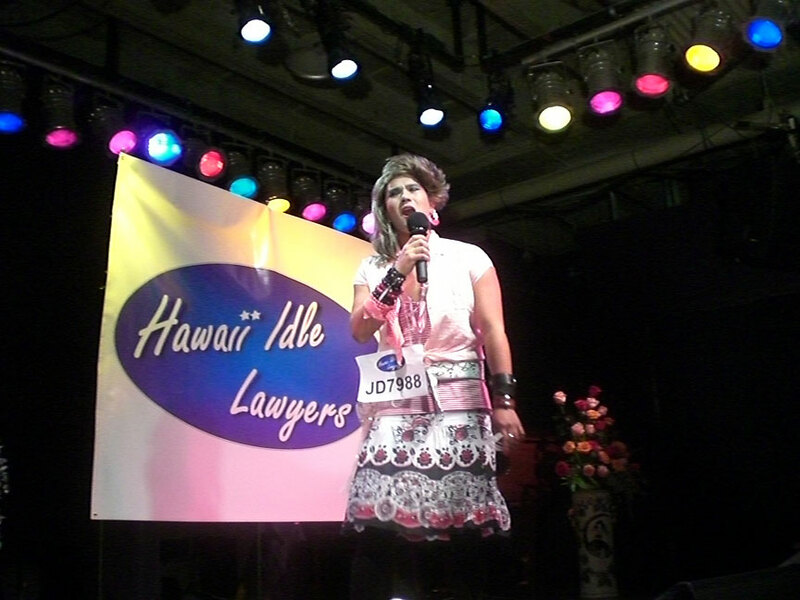 Singing Mouthpieces: Last Monday evening at rRed Elephant, the Hawaii State Bar Association held auditions for "Hawaii Idle Lawyers," a takeoff, you guessed it, on "American Idol." Fourteen attorneys sang for the judges, two of whom really were judges. Circuit Judge Gary Chang, impersonating "American Idol's" Randy Jackson, wore several gold chains around his neck and called everyone "dog." Retired judge Marie Milks wore not one, but two wigs to play Paula Abdul. Attorney Kelly LaPorte was appropriately nasty as Simon. City prosecutor Peter Carlisle sang Sam Cooke's "Chain Gang" while wearing a striped prison outfit -- a performance that Milks decreed to be "nearly criminal." Native Hawaiian Legal Corporation's T.J. Quan romped through "My Girl," which he hoped "would make me a superstar so I can quit practicing law." Susan Jaworowski, head of the paralegal program at Kapiolani Community College, unleashed a heartfelt rendition of "Son of a Preacher Man" that reduced the judges to silence. But the attorney who brought the most disorder to the court was Duke Oishi, who dressed in full Cindy Lauper drag to sing "Girls Just Want to Have Fun." Sorry you missed it? The auditions were videotaped by a battery of high-priced legal talent who struggled to figure out how their cameras worked. The videotape will be shown and the "Idle Lawyers" final round will be held during the bar association's annual fundraising dinner. Contestants have time for voice lessons -- the dinner's not until Nov. 16. Imagine: Since when do CDs come with centerfolds? 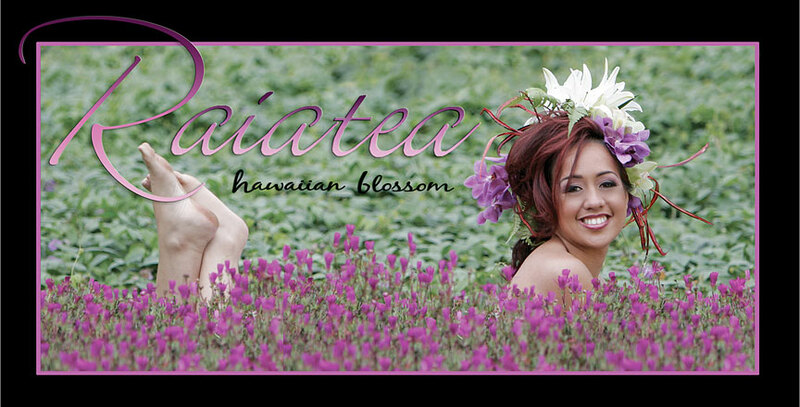 If you unfold the liner notes of the (quite good) new Raiatea Helm CD, on the back is a poster of Ms. Helm, shot at Kula's Enchanted Floral Gardens. The singer is apparently wearing nothing but a smile and a whole lot of foliage in her hair, though most of her is discreetly tucked behind a hedge of purple flowers. Is the poster getting much reaction? "Quite a lot, all of it from men," says Raiatea. "They all ask the exactly same question: 'Are you really naked behind that bush?' " What does she tell them? "I think the answer's best left to their imagination." Staying Power: "People keep calling and asking why I'm leaving public radio," says Beth-Ann Kozlovich. "Please tell them I'm not." For the past eight years, Kozlovich has hosted and produced Hawaii Public Radio's "Town Square," one of the few places on the airwaves for in-depth discussion of public issues. She'll continue the Thursday evening broadcasts. A notice in, ahem, the other daily newspaper suggested she was leaving HPR to become development director for the American Lung Association Hawaii. But she's leaving only her day job at a law firm for the new post at the Lung Association -- and for good reason. Her father died last year of lung cancer. Tootsie Rolls On: Went to Straub with a friend last week, to drop off squid luau, laulau and lomi salmon to patient Kanoe "Tootsie" Cazimero (Roland's twin sister). Kanoe was just back on solid food, having bounced back remarkably from an operation for kidney cancer. She's got a clean bill of health and will likely be home soon. But she did miss the Brothers Cazimero "Moonlight Mele" concert at the Bishop Museum last week. "I was thinking of sneaking out of the hospital," she said. "Roland would say, 'Eh, good.' But Robert would hit me. Then he'd turn around and hit Roland." Creative: At the recent opening of the Outrigger Reef's newly refurbished Ocean Tower, I ran into one of Outrigger's "cultural partners" -- hot young painter Solomon Enos. 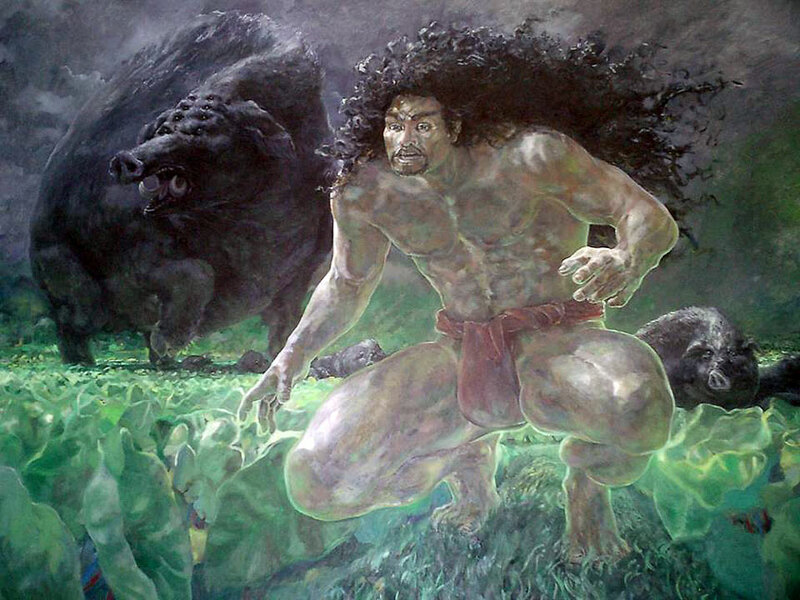 To celebrate the Year of the Boar, Enos painted Kamapua'a, the pig god who was the lover of Pele and the original bad boy of Hawaiian legend. The painting apparently has mana. Within weeks of its completion, Enos' girlfriend found herself pregnant with now stunning little daughter Harper. A few weeks after that, Enos' business partner, Daniel Anthony, found his girlfriend also pregnant, with daughter Ko'iahi. Where's the painting now? "A major Hawaiian music star wanted to borrow it, for obvious reasons," says Enos. Brah Casting: Last Tuesday, Internet radio stations big and small staged "A Day of Silence," to protest a steep increase in music royalties decreed by the federal government, one they insist will put them out of business. Far from silenced, Ron "Whodaguy" Jacobs goes live next Saturday morning with his Internet "brahcasting" station, whodaguyhawaii.com, playing contemporary and vintage Hawaiian music. "I'm not worried," says Jacobs. "Worst case is that I shut down the music and talk to people on the phone or in the house. That I can do until I drop or the Internet stops." Ever the promoter, Jacobs is even offering "tickets" to the program launch. No, you can't go, they're just supposed to be a collectible. Free on his Web site -- or as he puts, "No purchase possible." Uncurbed: At the Hawaii Hotel and Lodging Association mixer last week, I ran into former Aston honcho and owner Andre Tatibouet. Told him he looked quite chipper for a guy whose bankruptcy had been splashed all over the papers the last couple of years. "The last two years have been hellacious for me and my family," he said. "But you can sit on the curb and cry, or you can get up and go to work. I'm working."